ChyronHego introduced the CAMIO Universe last week, a comprehensive software-based newsroom production ecosystem that empowers producers and journalists to create news stories and deliver them rapidly to air. The CAMIO Universe is driven by CAMIO 4.3, a new release of ChyronHego’s CAMIO graphic management server. With release 4.3, CAMIO not only controls ChyronHego’s Lyric graphics creation environment but also offers powerful template-based tools within a significantly expanded production ecosystem, including the company’s Hybrid virtual graphics solution, the Metacast weather graphics solution, the PowerClips multiformat production clip server, and GS2 Multi-Touch touchscreen-generation platform, as well as the VidiGo Live Compositor video switching solution. CAMIO’s LUCI user interface gives producers, journalists, and video editors instant desktop access to all of these tools. Users can generate news and weather graphics for live playout or editing using nonlinear editors (NLEs), control compelling and visually stunning broadcast touchscreens, set up camera shots and control robotic cameras, and even generate replaceable virtual graphics to accompany the station’s virtual studio design. 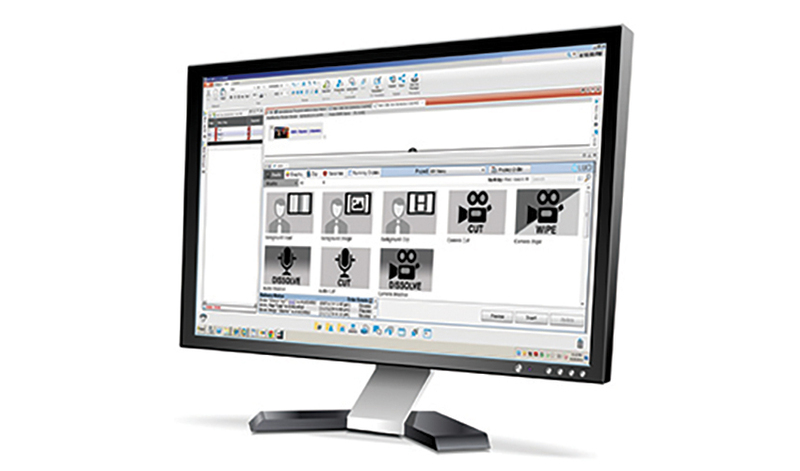 The entire ecosystem is automated by the VidiGo automation and multicamera TV production solution. As the engine for the CAMIO Universe, CAMIO 4.3 manages and distributes all content and assets and interfaces with any MOS-compliant newsroom computer system — all in a single cost-effective server. Sharing of both ground- and cloud-based content enables unprecedented collaboration between users at one or several locations, as well as with field producers and editors who are able to access cloud-based content storage anytime and from anywhere through lightweight remote client software. CAMIO’s new image compositor tool gives producers a simple but powerful content editing capability with seamless access to cloud- and ground-based assets. The CAMIO Universe further ties in the art department though a seamlessly integrated order management component that enables producers to order content without leaving their familiar production environment. Producers can work continuously while orders are delivered in the background, and the LUCI user interface provides notifications and status indicators that help them stay on top of their shows from a single screen.